It's a basic glass with champagne. The bubbles is created by a Particle flow I let for an animation. 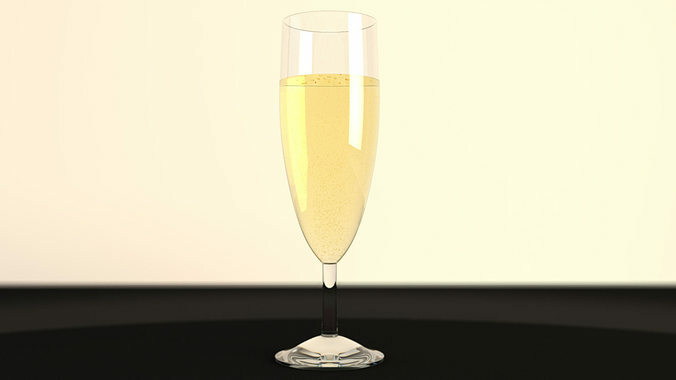 Num of polys : Glass : 1216 Champagne : 608 Other polys : Bubbles.